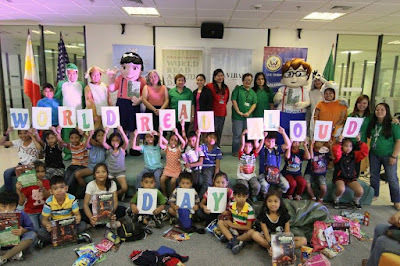 Highlighting on the importance of sharing stories and underscoring the power of words, American Corner Manila, National Library of the Philippines, Vibal Publishing, Philippine Librarians Association, Inc. and National Book Development Board joined together in celebrating the World Read Aloud Day on 24 February 2016 at the DLSU Libraries. 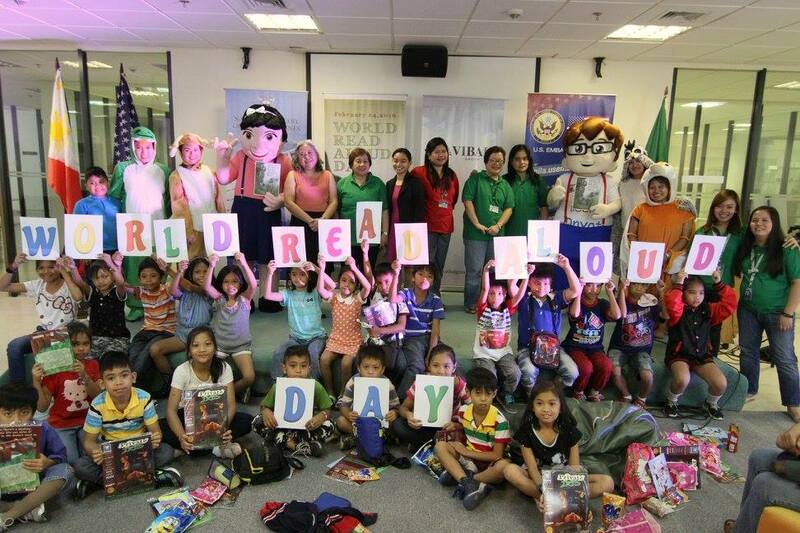 World Read Aloud inspires children, teens and adults to create a community of readers who take action in showing the world that the right to literacy belongs to all people. The children from Gems Heart Outreach from Maricaban, Pasay were joined via Google Hangouts by students from various partner schools in Luzon, Visayas and Mindanao for a virtual read aloud. This was soon followed by a chamber storytelling and puppet show. Since its formal opening on 12 September 2013, the Chinese Corner at the Libraries has been offering materials in various subjects, such as Chinese Language Teaching (CLT), Chinese customs, tradition, arts, history, and literature. These resources were generously donated by China Hanban in Beijing. Hanban also known as Confucius Institute Headquarters is a public institution affiliated with the Chinese Ministry of Education. As an auspicious Chinese New Year symbol, oranges and chocolate gold coins were given to students who visited the exhibit for good luck and fortune.